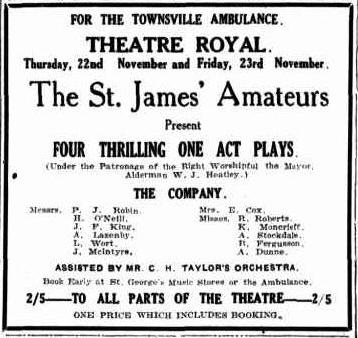 St James’ Amateur Dramatic Club appears to have been formed by a group of local Townsville performers to produce plays for the benefit of the people of Townsville. Unfortunately, the group seems to have stopped producing plays after the one year, that being 1928. 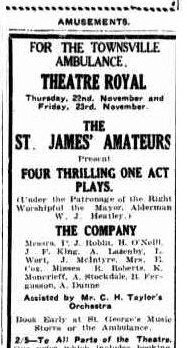 St James Amateurs Three one-act plays advertisement.